Thanks for following my site Joan – and welcome to the world of blogging. I only started mine this time last year when I retired! Are you going to explain your mitered corner technique on your blog – your photo looks so accurate! Thanks! I’m going to film the process and hope to make a little video. I figure that will be better than just words. By the way, I’ve noticed we are both on treadleon and janome 12000/15000. I read your postings all the time, don’t take time to post myself. I’ll look forward to the video. Haven’t looked at how you upload a video direct to wordpress yet. Time is just too short! That quilt is beautiful Aunt Joan! 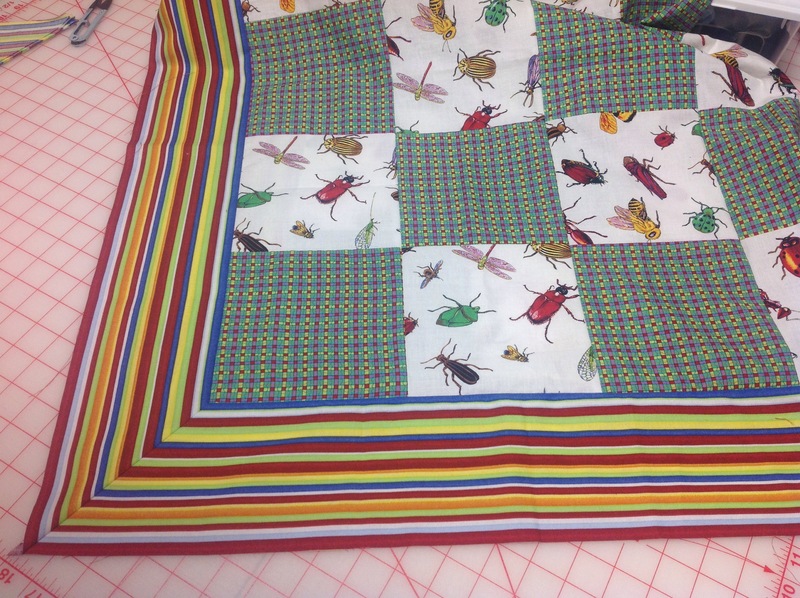 Of course, all your quilts are gorgeous. =) Your site looks great! I’m excited to see some tutorials when you get a chance to put them up- you are a great teacher!